What I like: Interesting puzzles that ramp up in difficulty, great atmosphere in early game. Not So Much: Very short (about 5 hours). My disasterous attempt at becoming an operational wargame mastermind went down in flames, so I decided to search my virtual pile of holiday Steam purchases for something different - something that wouldn't take a month to play through, because I want to get back on the wargaming saddle (I may have lost the battle but I'm not ready to concede the war). Besides, I thought it was about time that I played a game that isn't from Matrix or Slitherine! I chose the well-received puzzle-platformer Limbo. Some online discussions have compared this game to another indie puzzler, Braid. Both make use of creative puzzles and have a unique atmosphere, but Limbo wins this battle hands-down in my book. While Braid's puzzles were more challenging, the atmosphere of Limbo was much more powerful, tapping into emotions untouched by most games. There isn't a manual or tutorial for Limbo because there are only two actions in the game; the arrow keys for moving and jumping, along with the control key to perform an action. The only way to know this is to navigate to the OptionsàControls menu. Where I learned that an X-Box controller will also work. It would have been nice for the opening scene of the game to introduce the controls to the player, but perhaps this would have broken the immersion into the dark, bleak world that is Limbo. Note: If you edit the settings.txt file it appears like you can change the key bindings, along with some other options. I haven't tried this, so attempt at your own risk and backup the original. A game review shouldn't reveal too much about the story or other aspects of the game that are more fun to discover on your own. While I do present some limited information about the setting, my goal is to remain vague enough so each player can discover the world for him or herself. I'd like to know if I've spoiled anything for you, so I can right the balance. The opening scene consists of our protagonist waking in the middle of a forest, his bright eyes the only sign of life. Was the Boy sleeping or hurt? We will never know because there isn't any dialog or story per say. I'm usually not a fan of artsy presentations that leave the story to the user (or watcher in the case of a movie), but it really works here. Limbo immediately invoked a feeling of desolation. The scene wouldn't have been as powerful if the Boy started the game in a conscious state. The Boy; the trees; the wind. Alone. Gameplay consists of navigating the world of Limbo; running, climbing, and moving objects. Objects that can be manipulated are usually obvious, with no need to pixel hunt. The puzzles start off quite simply, and ramp up slowly. Sometimes I think a bit too slowly as I completed about 15 of the 40 chapters without much of a struggle. I'm not going to reveal the types of puzzles here because I think they are better discovered. On the occasion you do meet your doom, I've found that play typically resumes fairly close to the point of failure. You can explore without being paranoid that you will have to replay the last 30 minutes again (and again). Once in a while it helps to have moderately quick reflexes, but needn't have a strong twitch muscle to enjoy the game. The internet is both a blessing and a curse. When I was in high school, it would sometimes take days to solve a particularly troublesome puzzle in King's Quest. My friend and I would deliberate in social studies about how to get past some of the obstacles. Sometimes it would be quite frustrating to make such halting progress, but there was a huge sense of elation when the problem was solved. I have to admit there were two places I mined the rich deposit of gaming knowledge the internet provides to continue my journey through Limbo. The first time I kicked myself because I should have seen the solution. The second time I'm not sure I would have solved it within a reasonable amount of time. That being said, none of the puzzles were unfair. Resist the urge for immediate answers as long as you can. Limbo is a bleak, gritty world. The graphics are grayscale, but that only adds to the immersive quality. Is the film-grain effect used to make the player feel watched? I felt like there was a presence observing my trials, but unwilling to offer a hand. Little touches, such as the dust and dirt the Boy kicks up as he runs buffs the visual presentation to a pleasant sheen. Audio is used sparingly, thus adding to the sense of desolation. The selective use of audio always enhances the gameplay and never distracts from it. The later environments didn't invoke the same sense of creepiness as the opening chapters and just didn't seem as inspired, but overall I have no complaints. Perhaps it is the parent in me, but I imagine the protagonist being my son. I want to help him move forward, hoping that he'll make it out of this miserable world. While my son sleeps peacefully upstairs, I pause to listen to his breathing for a little comfort before urging the Boy to continue. Despite my unease, the Boy's courage never falters, but I feel he is being brave only out of necessity. Kudos to Playdead for creating this immersive environment that has so easily pulled me in. The game can be quite gruesome, but never seemed gratuitous to me. I found the rag-doll quality of the Boy's lifeless body very disturbing, but in a way that drew me into the game. The violence underscored how unfriendly Limbo is. A fascinating, unfriendly place. The game performed flawlessly without any crashes or hiccups. After death, play resumes quickly. Simple gameplay, moderately challenging puzzles, and a creepy, desolate environment are the main elements of Limbo. Without the artistic direction, Limbo would be a good puzzle-platformer, but the presentation elevates the game to a unique experience I can whole-heartedly recommend. The persistent gamer can finish this bite-sized morsel of gaming goodness in one helping. 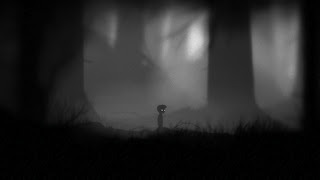 When compared to other games, Limbo may not be the best value unless you get it on sale, but compared to other entertainment, such as movies, it holds up well. If all of the chapters drew me in as much as the early game the score would be higher, but as it stands it is still very good.